A couple of nights ago, I was talking to a JRF over college dinner, and my research came up. I tend to present this differently depending on my mood and audience, and that day – for whatever reason – I chose to focus on my ethical approach. 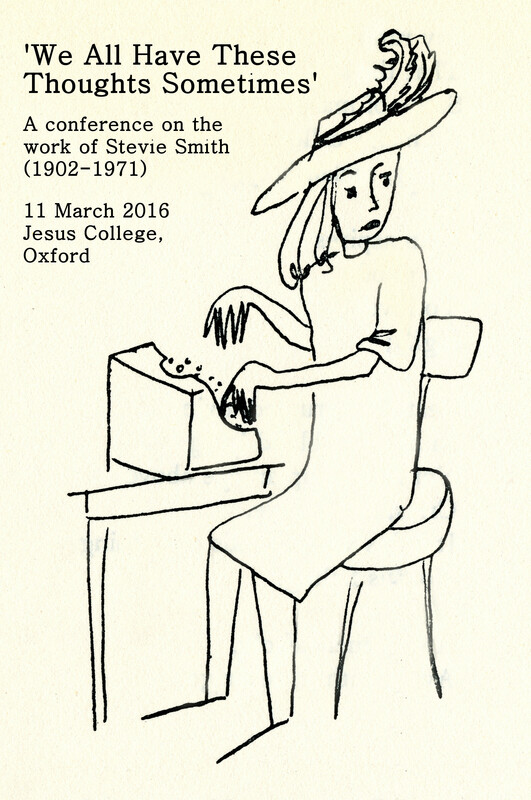 Stevie Smith doesn’t get a lot of critical attention, I said. And when she does, the focus often seems to be on her biography and persona. I am sick of reading about her aunt, her little-girl clothes, her job as a typist. It’s as though writing is such an odd thing for a woman to do that it necessarily means she’s insane: critiquing her work becomes a kind of therapy, to locate the originary trauma in her background. The same’s often true of H.D. I want to write about their use of poetic form – to extend the same courtesy to them as we give to male writers.